The BP Liberator platform truck with a carpeted deck is very popular in the airline and cruise industry. These carts can be found at many airports, buy yours online today at a special discounted price. We have special volume pricing built in so as you change your quantity you will see your price will change. There is no need to wait for quotes anymore! 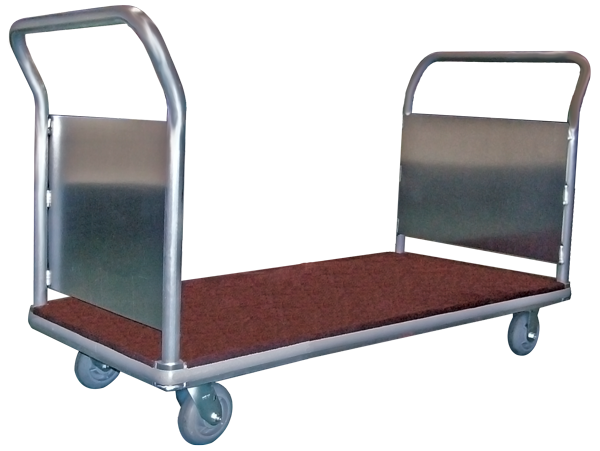 These platform carts are made right here in the USA, with a high quality welded deck and come with a 2 year manufacturer warranty. 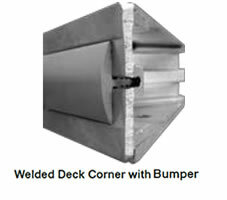 They are designed to hold up to rigorous and high traffic use such as airports and cruise lines. 1) 24" x 36" 2) 24" x 48" 3) 24" x 60" 4) 30" x 48" 5) 30" x 60" 6) 30" x 72" 7) 36" x 48" 8) 36" x 60" 9) 36" x 72". Looking for custom built options? Click here.